Charles Gaines, untitled, 2018, digital stock photo montage, 10 × 10". Photos: viii/Adobe Stock and Alexander Glagolev/Adobe Stock. Special project for Artforum. WE ARE OUT OF PLACE. November in the US is the time for politics as usual. By which I mean it’s the time when citizens are allowed to participate in that grand ratification of democracy we call voting. When the legitimacy of nearly every single one of our political institutions is in doubt, I find myself grateful for one that, despite the best efforts of antidemocratic forces to rob the poor and people of color of franchise, still offers the hope of peaceful revolution. To honor this month, we invited four artists to contribute projects, suggesting as prompts two subterranean questions: 1) Repair or revolt? and 2) Do we get to choose our own monsters? The trenchant works of Sue Williams, Jim Shaw, and Ed Ruscha appear in the following pages. 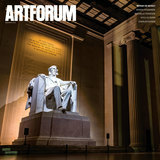 On the cover is Charles Gaines’s contribution, a minatory image of Daniel Chester French’s Lincoln Memorial transformed into a monument to Jefferson Davis, president of the Confederacy from 1861 to 1865. It’s so subtle you might not notice the difference. At the other end of this expanded graveyard and at this outer threshold of modernism stands Gaines’s sculpture: a nomadic, digitally morphed picture that returns us to the breach and subsequent reconstruction of our union, to black suffrage and the foundations of the very terms of representation in this country. 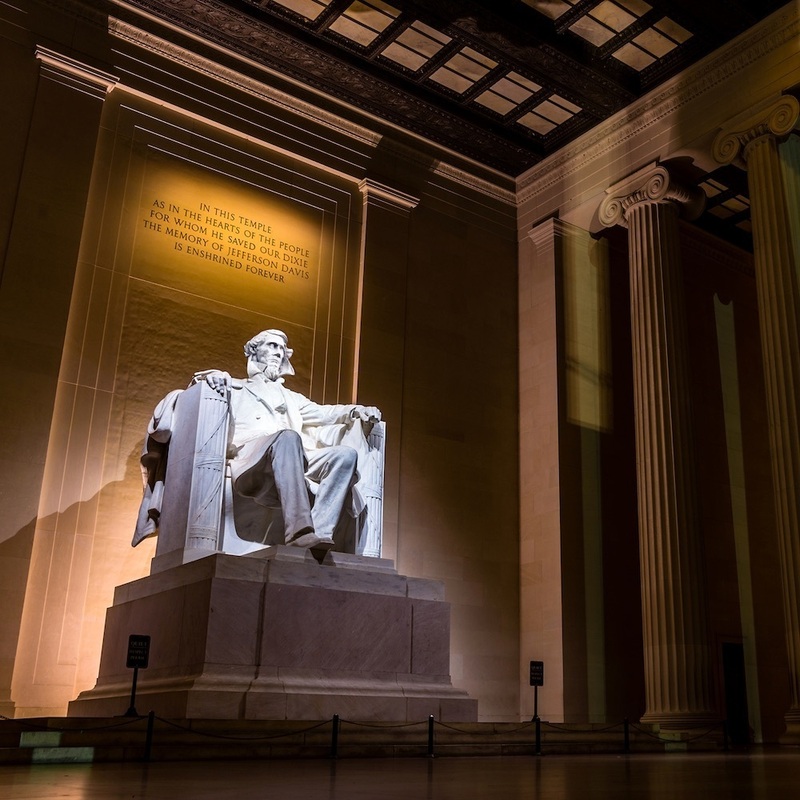 It is a defacing of one of America’s great mythological props, erected by the victors of our first civil war to assert as lapidary truth the idea that, in those years, something really changed. How do we proceed now, when we are at once out of place and out of time? No monument is innocent. Tear them all down.